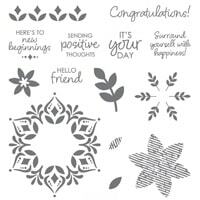 It’s here – by Stampin’ Up!, the Snowflake Showcase suite of beautiful coordinating products for the holiday season and all year long. Only available in NOVEMBER, while supplies last. 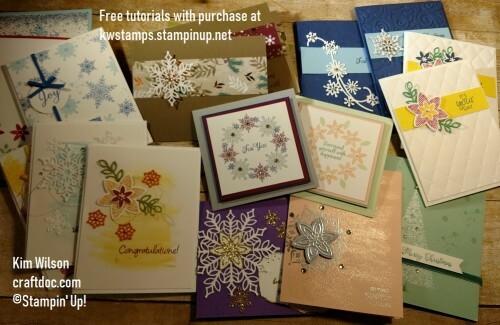 With your purchase of any of these products from my shop, I am offering a free tutorial with instructions for 18 cards from the suite. 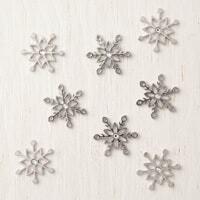 I had such fun making these cards – I hope you do too! 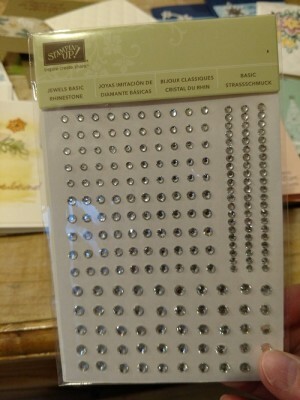 If your purchase is over $50 using host code JP939F6N, I will also mail you a sheet of the rhinestones that I used on many of these cards. 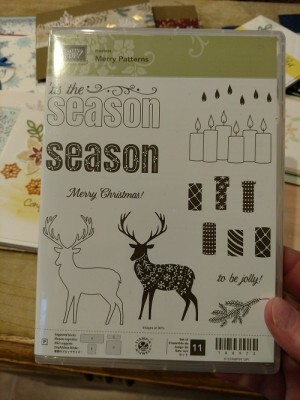 And if your purchase is over $100 using the code, I will send you the rhinestones and the Merry Patterns stamp set (while supplies last). 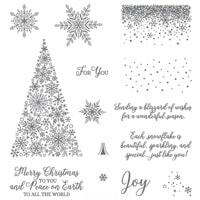 This set was a limited release hostess set from last year and will coordinate nicely with your snowflakes and rhinestones for holiday and all season cards. 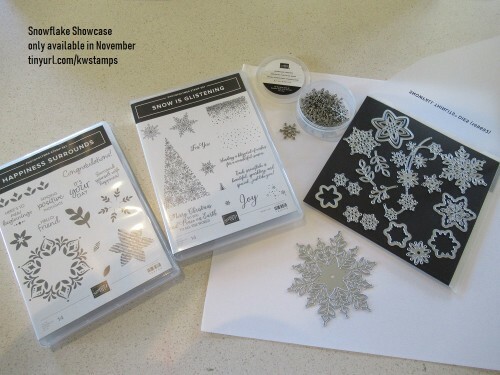 Here is a video from Stampin Up! with more info and some more projects. 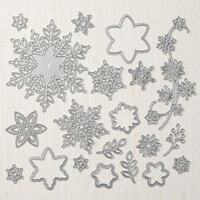 Details of each of the products are below. Get them soon – they will be gone in no time! 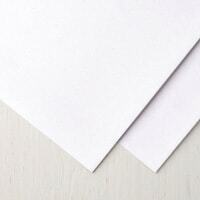 I suggest the Stamparatus as well, it will be helpful with your projects and is currently in low inventory. If your order is over $150, don’t use the code and keep the host benefits for yourself. I’ll still send your gifts! 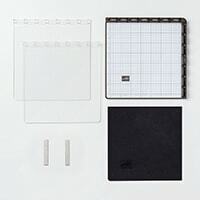 Or better yet, if you want the demonstrator discount, you can add these items to your demonstrator starter kit and be a happy shopper and/or start your own rewarding stamping business.